What is Al Isra’a Wal Mi’raj? 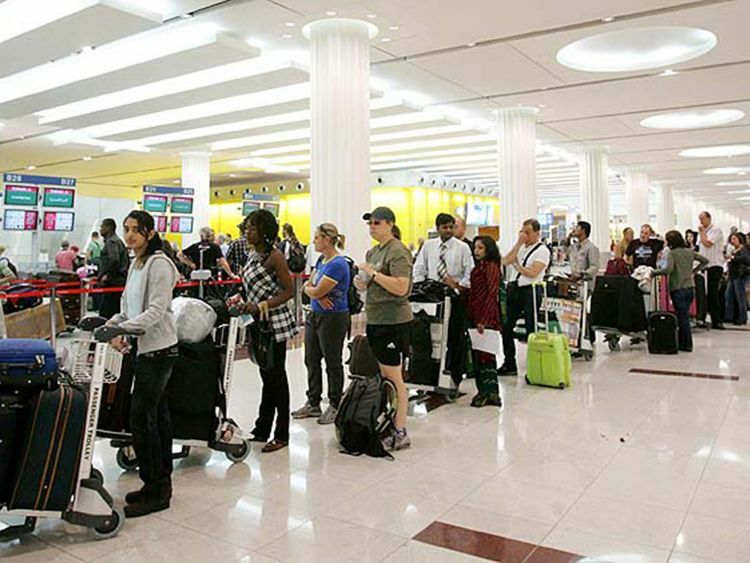 Dubai: People flying out of the UAE have been warned that the airport terminals will be more crowded than usual this weekend, as well as on Tuesday, as thousands of residents are expected to go on vacation during the upcoming spring break and public holiday. UAE-based carrier Emirates said it is expecting more than 200,000 flyers to take off from Dubai International Airport tomorrow, March 29, just a couple of days before schools mark the official start of this year's spring break, and on April 2, 2019. In Abu Dhabi, Etihad expects terminals to get crowded starting today, March 28 and over the weekend. “The spring break commences at the end of this week with schools in the UAE breaking for holidays. This means families will start flying out from Thursday and over the weekend, leading to a particularly busy time at Abu Dhabi Airport. Two short breaks are coming up very soon for UAE residents. Students are scheduled to go on a two-week spring break starting from March 31, 2019. Although no official announcements have been made yet, the UAE is also expected to observe a holiday on April 3 on the occasion of Al isra’a Wal Mi’raj or Ascencion Day. Al Isra'a Wal Mi’raj is an Islamic holiday, which is observed annually on the 27th day of the Islamic month of Rajab (falls on April 3 in 2019), according to the Hijri calendar. According to Emirates, March 29, will be the busiest time to travel, with more than 42,000 passengers expected to take off from Terminal 3 alone. “Customers are reminded to arrive at the airport at least three hours before their flight departure to avoid any delays,” the airline said. The airport terminals will continue to be busy until Tuesday, April 2, with more than 205,000 passengers travelling via Emirates from Dubai to destinations abroad. “During this time, Emirates will also be welcoming more than 160,000 passengers to and through Dubai,” the airline said. 2. Ensure that you check in no later than two hours prior to your flight. 3. You will most likely not be allowed to check in if you show up less than 60 minutes prior to the scheduled flight departure. 4. Check in online, when you can. Check-in services can be accessed online from 48 hours to 90 minutes prior to the flight. 5. Take advantage of car park check-in facilities in Dubai. There are at least 16 check-in counters located in Zone C of the airport. Customers can use these to check in and drop off their luggage. 6. Flyers heading to Emirates Terminal 3 can choose to drop their luggage at one of the 46 dedicated bag drop counters in Economy Class or separate counters in First Class and Business Class from six hours to 90 minutes prior to departure.